. يقدم Kookaburra Motor Lodge خدمات لا غبار عليها وكل أشكال اللياقة وحسن الضيافة اللازمة لإسعاد ضيوفه. إن واي فاي مجاني في جميع الغرف, صف السيارات هي جزء فقط من الخدمات التي تميز Kookaburra Motor Lodge عن باقي الفنادق في المدينة. استمتع بوسائل الراحة الراقية في الغرف أثناء إقامتك هنا. بعض الغرف تتضمن تلفزيون بشاشة مسطحة, اتصال لاسلكي بالإنترنت, اتصال لاسلكي بشبكة الإنترنت (مجاني), غرف لغير المدخنين, مكيف هواء لمساعدتك على استعادة طاقتك بعد يوم طويل. كما أن مجموعة الخدمات الواسعة الموجودة في الفندق لضمان راحتك تترك لك الكثير من الخيارات لقضاء وقتك أثناء فترة إقامتك. 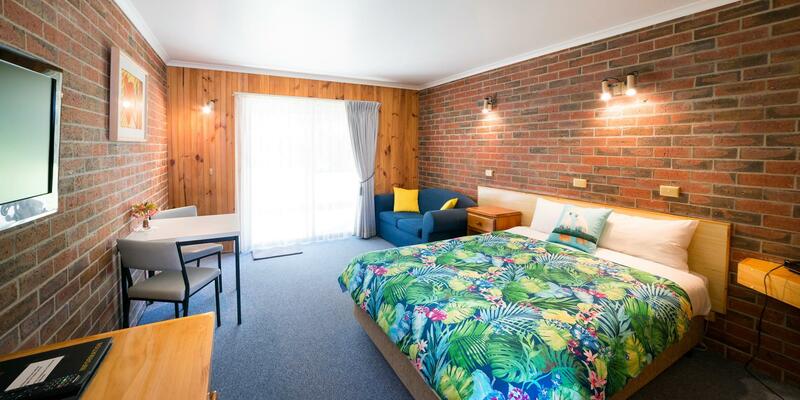 إن Kookaburra Motor Lodge هو خيار ذكي بالنسبة للمسافرين إلى غرامبيانز، بما يوفره من إقامة هادئة ومرحة. We got a room with a view to the mountain at the back. In the morning we can see lots of kangaroos playing aroung from our room. The parking lots are in front of the room which make it easier for us with the baggage. The room is cozy and the price is worth it. We had a lovely room facing the mountain! Kangaroos and deers were spotted near to our room. Room was clean. Stephen and Peggy were lovely hosts who were very helpful in sharing with us the places of interest. We really had an enjoyable stay. The owners here were really nice and gave us great dinner recommendations. The room is basic but clean and cozy. The view out the back into the field was fabulous. Kangaroos, deer, lots of birds. It was perfect for our trip to the Grampians. Super friendly owner who mapped out and explained all the hiking routes we could cover in one day. Backyard opened out to a large field with plenty of wild kangaroos and cockatoos. Open the main door at night and you can stargaze in comfort right outside your room! I love the mornings there. We ate our breakfast at the balcony and there were parrots and crows entertaining us like we were in the jungle. There were also kangaroos nearby and the stars can be seen from the balcony at night. The hotel and staff were great. The room was good and the free wifi worked ok. The heating in the room had even been turned on to warm the room for our arrival. We had one of the rooms at the back and the sliding glass doors at the back of the room opened on to a small patio area with table and chairs. In the morning the view from sliding glass door at the back of the room was magnificent - spectacular mountains with a great sunrise over the mountains, green fields with many kangaroos. Friendly magpies and a cockatoo came to the patio to be fed. Highly recommended - I would stay at this hotel again without hesitation. The staff were very attentive and helpful. There were a couple of nice restaurants in the neighbourhood. Our room faced a really nice grass field. We booked the room after reading some reviews about waking up to Kangaroos by the glass doors of the rooms. Well, we didn't see any kangaroos up close in the room but we had lovely time star gazing. The staff at the lodge were very helpful providing us with many hiking and food options. Highly recommended! We stayed for 2 nites. Love every moment here. Nice and breathtaking view. Verandah outside the motel has a fantastic view. If you are lucky, you could see wild kangaroos outside at the verandah. The hosts are friendly and they welcome u with a smile and tell u details what u can do at Grampians. We enjoyed our stay here. Lovely. Receptionist was very helpful and friendly. He recommended us places to go and checked the weather forecast for us. The location was just in center of Grampian National Park. However the room design was quite old school and the sofa wasn’t comfortable. Anyway overall it was a clean room and we get amazing stargazing. we loved the property! great view of the mountains and loads of kangaroos. Staff was very helpful providing us information on what we can do with the amount of time we had! There are no cons about this place! It was a beautiful experience, kangaroos also surround the place! The staff (owners) are super friendly and very inviting! I loved it, it’s like a home away from home! Had awesome conversations with them and they were very helpful on suggestions on what to do around the area! It’s a beautiful place and I would definitely stay again! A superb find. Kangaroos wandering the streets, cockatoos everywhere, and Kookaburras queuing up at the back door to have their photos taken. The motel was pretty good too! BBQ outside and very comfy bed. Pro’s: friendly welcome (goes a long way), room was clean, central location in town, easy parking (no lugging suitcases up stairs) and dozens of KANGEROOS!!!! Con’s: none Don’t overlook this place - it’s a genuine establishment where you will be comfortable, treated well and leave wishing you had stayed another night!! 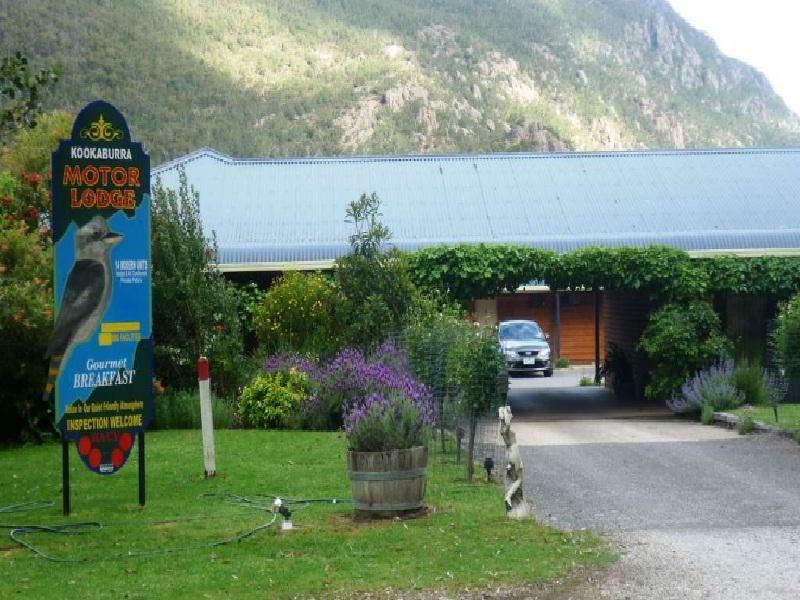 Great location in Halls Gap to explore the Grampians. Good sized rooms with a small veranda overlooking a large field where kangaroo's appear in huge number's around 5pm to graze. Friendly cockatoo's will happily take nuts from your hand. 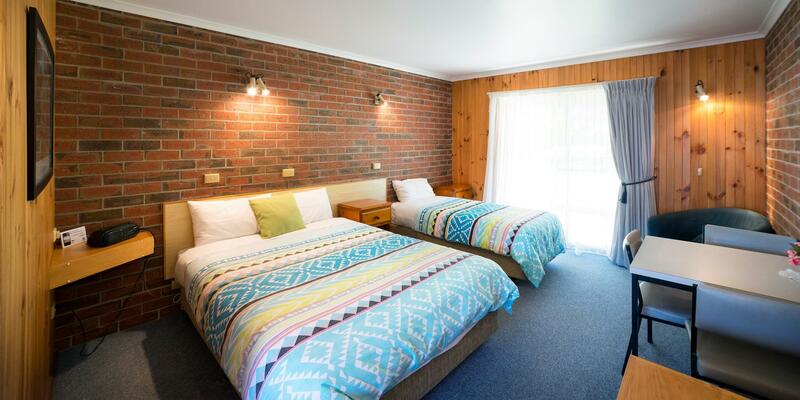 The lodge is in a central location to stay and explore Grampians. The owners were wonderful and made us feel at home. Our room was comfortable and lovely just to stay in, and see animals wander and graze just outside our balcony! 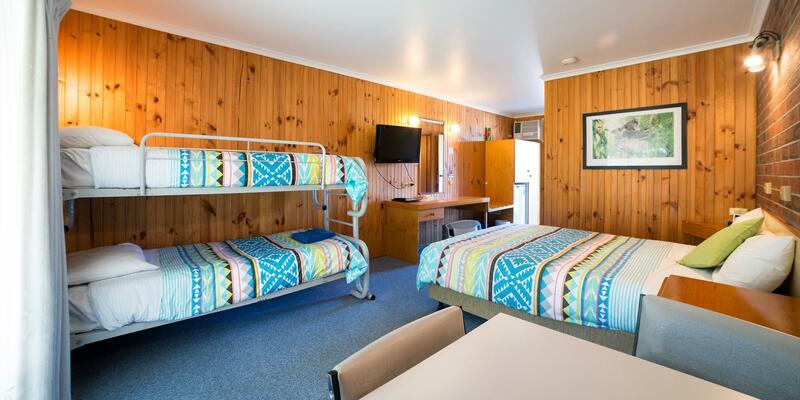 The accommodation was has a close proximity to the visitor centres, Cafe and of course, the walking trails Halls Gap has to offer. 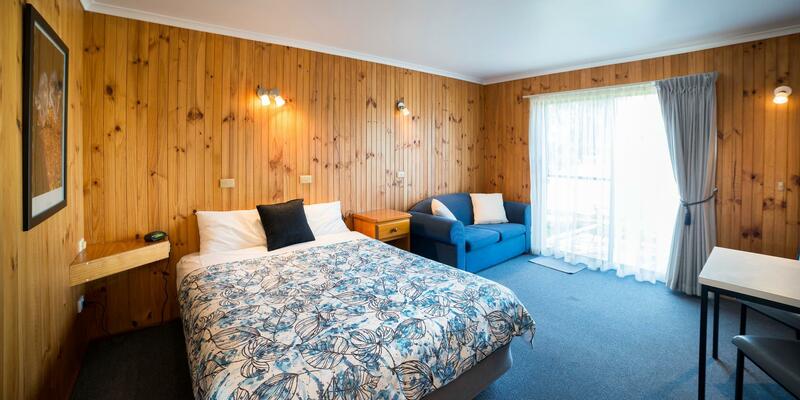 The surroundings of this motor lodge is indeed spectacular, nestled in the centre of the mountains, it offers spectacular views of the surroundings. 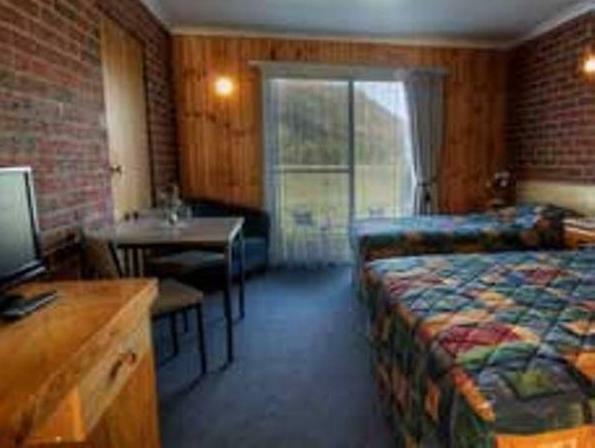 Wildlife were also right at your doorstep, Kangaroos/Wallabies, Cows, Birds etc can be spotted right at your doorstep, it is truly a enjoyable motor lodge to be in, nature at its finest. 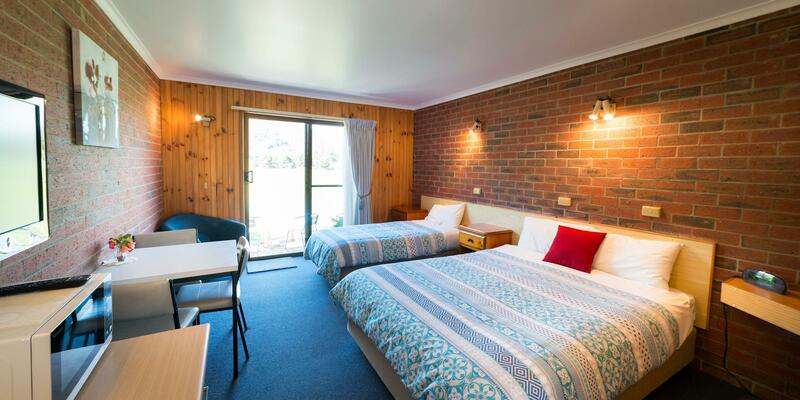 Very clean and comfortable rooms. Staff were friendly and helpful in giving advice on walking trails and where to dine. Wildlife was right on your doorstep, we woke up to kangaroos, birds and cows coming to say hello! Great location, we were able to walk to the shops and restaurants. It was also a very central location to drive to the start of all walking trails. Would surely recommend this accommodation. Its a Motor Lodge, hence the parking is just outside the room. We had a great view of the garden which have a small pond to attract ducks and birds. Room was spacious, and warm. 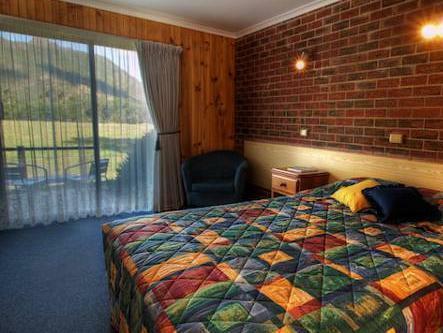 Its just next to the shopping strip in Halls Gap which have everything u need from BBQ to cooked food. Its also just 2.3km from the new information center where u can get all thei nformation about the trail and trek for Grampians. There are really Kangaroos around the garden and outside our room in the morning.